You will have undoubtedly heard the news of Prince Phillip’s ‘little’ accident less than 24 hours ago. According to The Daily Mail, the car crash happened as he pulled out onto a main road in Norfolk. However, what does this story say about the media’s attention span? As a longstanding figure of the establishment, Prince Phillip is a 97-year-old man who’s been in and out of hospital for as long as I can remember. This begs the question: why is the Duke still driving? It seems that, because he is a monarch, the usual rules don’t apply. The Daily Mail defended his incompetency by saying he was ‘dazzled by the sun’ while the Kia, ‘travelling at up to 60mph, struck his side of the 4X4 in a so-called ‘t-bone’ smash’. How dare the Kia-driver, with a baby on board, drive at or below the speed limit of the road? Of course, they should have stopped and retrieved a parasol from their boot to block those pesky rays that made the Duke of Edinburgh such an incompetent driver. Of course, The Daily Mail has also prioritised the health of Phillip while dramatising the whole thing to make him sound superhuman, putting the health of the real victim(s) – who had right-of-way – second. Whilst we are in no doubt this crash happened, does it really warrant that much media coverage? After all, car crashes happen every day, and we can confirm that the other victims are fine [thank you for asking]. The UK’s most widely-read tabloids like The Sun and The Daily Mail – both of which are owned by right-wing billionaires – have prioritised this over much more pressing issues. The Daily Mail’s amusing breakdown of the accident – notice the Kia smashed into the driver’s side – who is actually at fault? What with NHS overspending, Britain facing major uncertainty through Brexit, and burning injustices like minorities facing discrimination in employment, they must be really struggling to find material. Instead, we’re focussed on a car crash that could have been avoided if an elderly man, who can be chauffeured around until his heart’s content, was able to accept he is too old to drive. 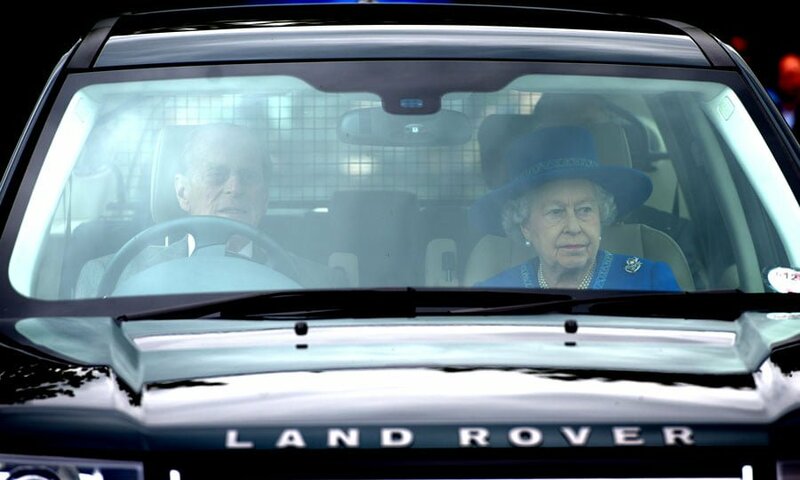 Ever heard of Uber, Phillip? The collision was an awful event for everyone involved – Phillip included – but what does the media coverage tell us about where we get our information? I’ll leave that one with you.